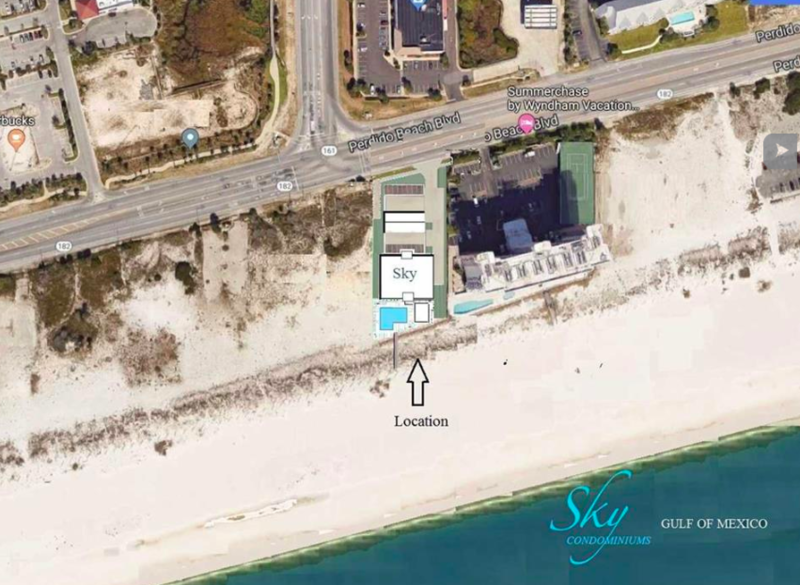 Sky is the latest condominium planned for Orange Beach, AL - one of the top vacation destinations on the Gulf Coast. 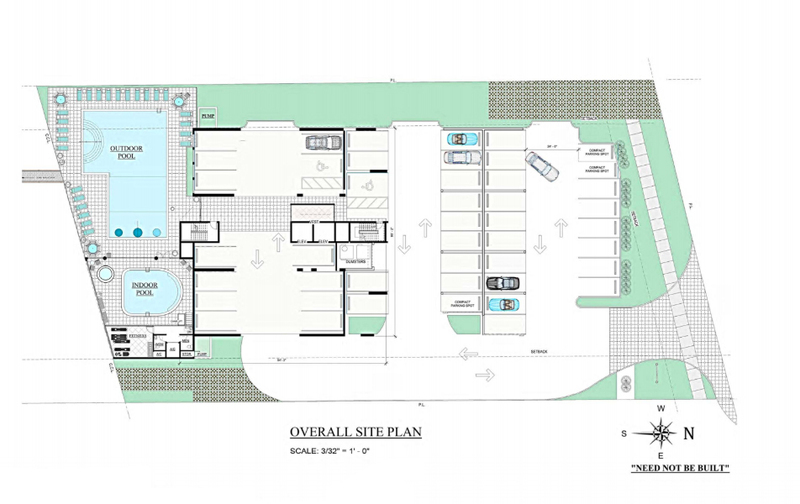 This low-density development will sit at the terminus of Hwy 161 next door to gulf front condo Summerchase. 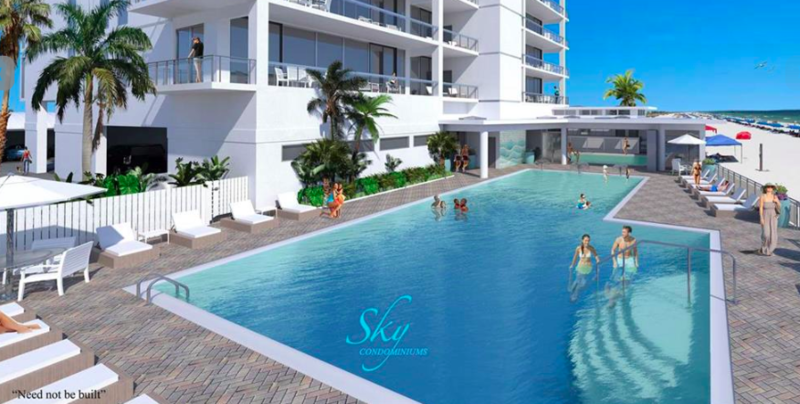 Sky will sit directly on the beach in a convenient location just minutes to The Wharf, several shopping centers, great restaurants (like Fin & Fork), and grocery chains Publix and Wal-Mart. 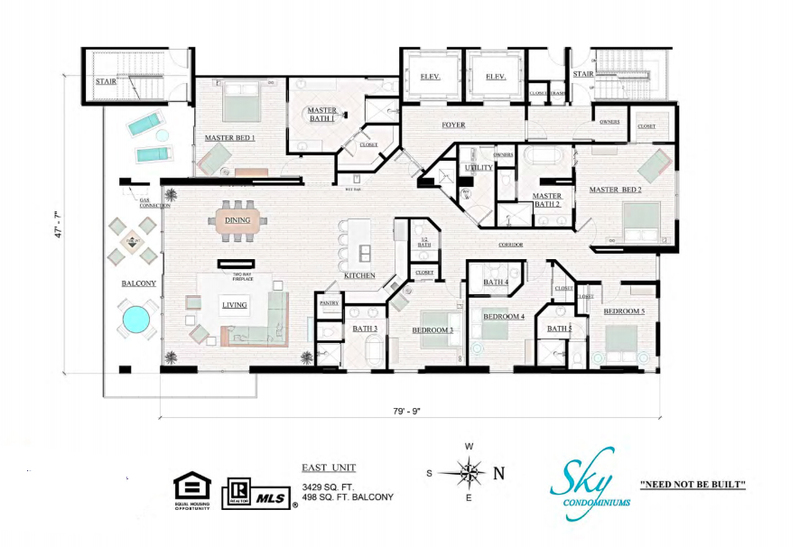 Only 14 exclusive residences are available and offered in 5-bedroom/5.5-bath layouts with a palatial 3,429 square feet of living space. 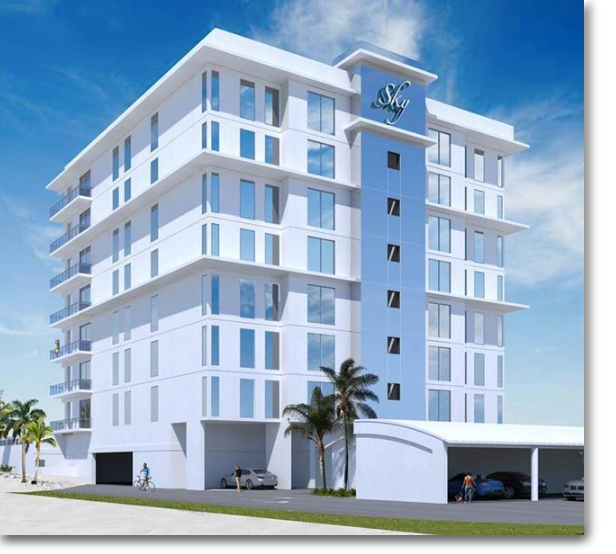 Each condo will boast breathtaking views of the Gulf of Mexico and sugar-white beaches. 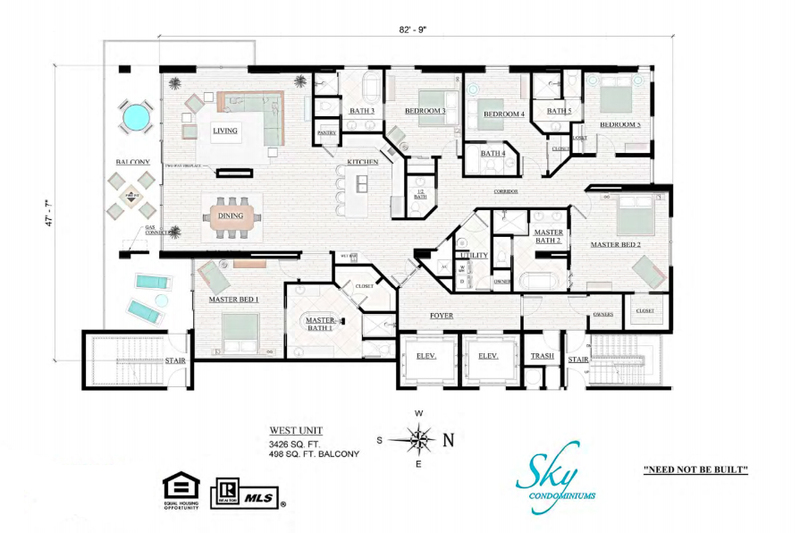 Unit amenities will include well-appointed features such as upscale kitchen appliances, quartz countertops, wood & tile flooring, panoramic floor-to-ceiling glass, and remote capabilities for air conditioning, select lighting and appliances. 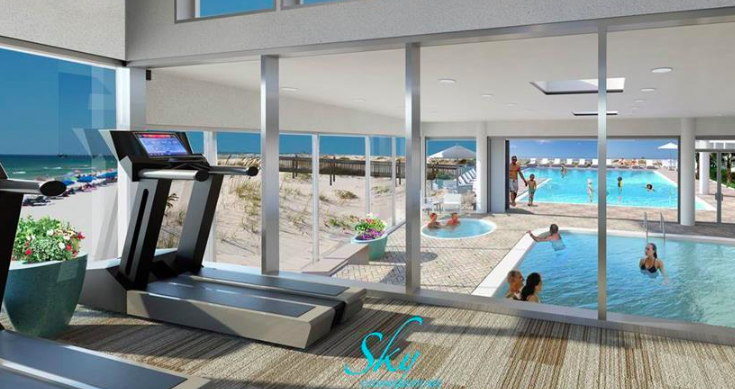 Master bedrooms will have unobstructed gulf views with direct balcony access and ensuite bathrooms with heated floors and vanity mirror with a hidden TV. Spacious gulf front balconies will span over 40 feet in length and have gas grill hookups and outdoor fire pits for year-round enjoyment. 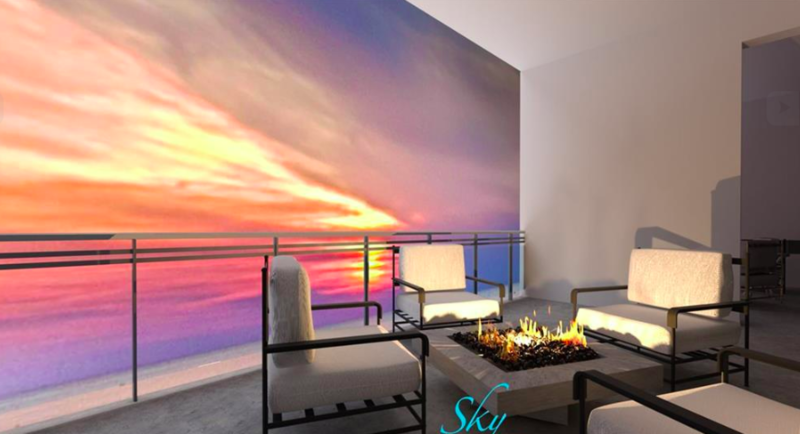 Sky condominium will boast first-class amenities including a beachfront resort pool, heated indoor pool, hot tub, modern fitness center, and ample covered parking with Tesla charging stations. Units are pre-selling now! 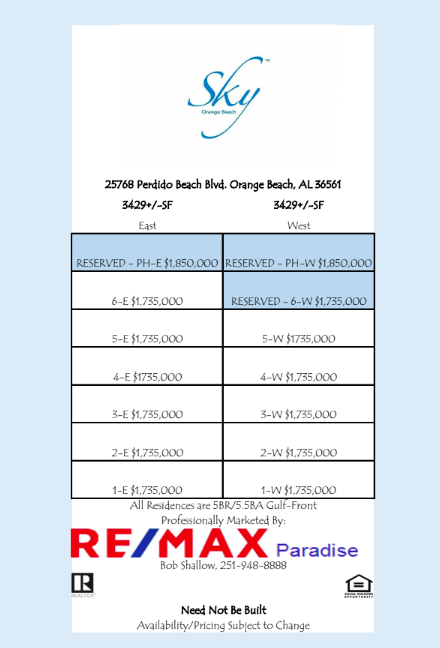 Don't miss out on this incredible opportunity to own a unit at this highly desirable condominium in Orange Beach. 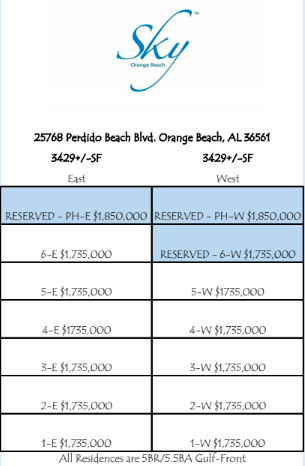 Please let us know if you would like further information for Sky, other condos and homes, or real estate along the Gulf Coast by emailing info@condoinvestment.com or by calling (251) Area-Pro (251-273-2776) for immediate assistance. There are many new condo developments arising in the area, visit our pre-construction condos page to find a current list of pre-construction projects. Remote Capability for Lighting, Appliances, and A/C.